Thank you for being my Sunday School teacher when I was in the sixth grade. I know you probably didn’t think it was a big deal at the time, but it was pretty huge to me. It was pretty huge because I knew that you wanted to be there. In fact, in that hour every Sunday morning, I knew there was no other place you’d rather be. There wasn’t exactly this one big thing that you did that made a huge impact on me. It was a bunch of little things that added up. And I want to say, “Thank You” for all those little things, because they added up big for me. First of all, thank you for sending me notes in the mail. This told me that not only were you there for me on Sundays, but you thought about me and prayed for me during the week. Thank you for staying after Sunday School multiple times to talk to me, especially when my grandfather was diagnosed with cancer. Thank you for making me feel important by not rushing off right after Sunday School, but instead for taking the time to listen to me. Thank you for taking the time and effort to look at me while I was pouring out my thoughts. Most of all, thank you for stopping and praying with me during those after Sunday School talks. Thank you for loving the Lord, because your teaching was an overflow of what was in your heart. And what was in your heart was pure gold. Even after I “graduated” from your class, I still knew you were there and you cared. Thank you. Growing up, I had excellent parents who taught me about God and gave me a great example to live by. However, it was such a blessing to have people like you in my life, Mrs. Smith. You inspired me to read my Bible and to pray. I know that you are a big part of the reason why I now hold Sunday School in such high regard. Teaching Sunday School and working with children in small groups is one of my favorite things to do, and it’s because you planted that seed in my heart. You showed me the importance of godly grown-ups who care giving their time to children. So, thank you…a million times over…thank you. I wanted to write this and post it here first of all, because I really did (and still do) love Mrs. Smith. But also, Mrs. Smith shaped much of my walk with the Lord. I know that she shaped the way I work with and minister to children, and she cared for me at a time when my shy self really needed it. I wanted to write this also because I see this at Lonoke right now every Sunday and every Wednesday night with our Sunday School teachers and small group leaders. I see a room full of people who really care about children and love the Lord, taking that hour out of their week to make a difference and point kids to God. It’s hard to know what you’re doing in the midst of it all, but I hope that my letter to Mrs. Smith gives you encouragement. I doubt that she really knows what she meant to me and the extent of what she did in my life, but I am forever thankful to God for placing her in my life at that time, for that season. I am grateful that she was willing to be that vessel for the Lord. Things have been quiet here lately on the blog. The Wood family has been crazy busy, and during this busy season of preparing for a new addition to our family, school, ministry, and the many other things on our plate, I decided to put the blog on the back burner for a few weeks. This week, however, is a scheduled week off for our homeschooling, so I’m hoping to really regroup on a few things. I like to call it “teacher inservice.” Ha! So, I’m sharing my goals with you this week. Work on a “doable” written budget plan-I have a tremendous amount of trouble keeping up with our budget, so I’m on the lookout for an easy budgeting method. Is there such thing?? Make journal entry in adoption journal. READ! I have not been able to read much lately (well, I haven’t been able to read my own books at least), and my brain is suffering! I need to read! So there it is. There is my week. I’m hoping to do a couple of blog posts this week. I have some ideas stirring in my mind. But, I’m going to let that come as it can, so just keep an eye out! Have a great week everyone! Checkout51: This is an awesome little app that I was just introduced to last week. It’s so easy. All you do is browse through their list each week, go shopping, then take a picture of your receipt and submit it, and you will receive cash back for certain things that you buy that were on their list. Last week, I got $4.00 back for things that I would have purchased anyway such as a gallon of milk, tomatoes, and bananas. I know! It’s so exciting! 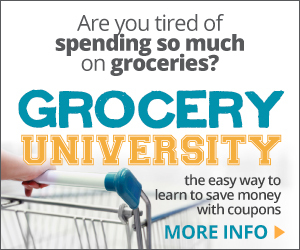 And if you combine this offer with your paper coupons, you are really in business at the grocery store! Woo-hoo! Snap by Groupon: This is the very same thing as Checkout51 and it works exactly the same. The lists are just a little different each week, but I was still able to rack up $4.00 on Snap last week too. Happy days at the grocery store…and seriously, how often can you say that?? Swagbucks: I did this a long time ago, and just recently revisited it, and I am so glad I did. If you open a Swagbucks account and simply change Swagbucks to your default search page, you can earn points when you search. You can also earn easy points by answering the daily poll. If you really get serious, you can also earn points by watching videos, completing surveys, signing up for offers, and other things. Once you get a certain amount of Swagbucks, you can cash them in for gift cards to your favorite places like Wal-Mart or Amazon. LoseIt: It’s another app. It’s one of my favorite apps though. It’s a diet app which helps you count your calories daily. You can log all of your food intake as well as any exercise you do throughout the day. I love this because it really helps me to see a log of what I’ve done that day. And when you exercise you get calories back, so it’s almost like this cash system. Of course, for some odd reason, I’m super motivated by “banking” calories so that’s really helpful in this system too…you don’t actually get to do anything with your banked calories, but it’s really cool to get to the end of the day and find that you still have extra calories that you didn’t use. Burning fat baby! Samaritan’s Purse: I really can’t say enough good things about this ministry. I have been impressed by this ministry many times, and now, I think they are shining brighter than ever before. Samaritan’s Purse is an organization developed by Franklin Graham which sends aid to people who need it most. Right now, they are helping with the Ebola crisis. Unfortunately, the hospitals in Africa handling this crisis are full and are now turning people away. This means that unless family members are willing to let their loved ones die a terrible death alone, then they must care for them at home. To do this without spreading the deadly disease, Samaritan’s Purse has developed an at home kit that helps protect these caregivers from the sickness. They are asking for donations to help fund the project and to get more of these kits to people who need them. Our family is donating to this very worthy cause, because it’s something we can do to help. It’s small, but we care and this is something we can do. I’d love for you to go check it out as well and see if it’s something that your family can do. Click here to see how you can help. Essential Oils: I’m new to the essential oils thing, but I have a friend who sells doTERRA and I tried them on Lydia and I am a fan! I am so impressed! Currently we are using the DigestZen with Lydia (it’s made a HUGE difference!) and I plan to try the OnGuard next to keep all these winter time sicknesses away from us! Books that I’m loving right now: I’ve gotten myself into reading several books at a time, but it’s okay because they are all so good! I love No Longer a Slumdog by KP Yohannan. 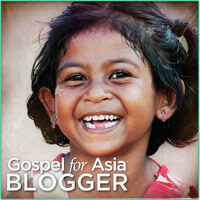 It’s about children living in crisis in Asia. 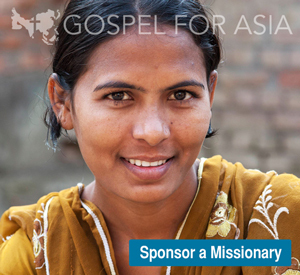 It’s a free book through Gospel of Asia and it’s so worth your time to read. I’m also really enjoying Disconnected Kids by Dr. Robert Melillo. This is a book about balancing the brain of kids who have neurological disorders such as ADD/ADHA, dyslexia, asperger’s and other neurological disorders. I’m reading this because we’ve discovered that our son has something called dysgraphia, so I’m trying to find out the best way to help him. The kids and I are learning the catechism and we are reading through the book Training Hearts, Teaching Minds: Family Devotions Based on the Shorter Catechism by Starr Meade. I love, love, love this book, and I also love the songs by Holly Dutton that go along with it. Finally, Making Brothers and Sisters Best Friends is totally a hit. I’m reading this to the kids right now, but it’s a great book for all family members. Such great information. I’m planning a full review of each of these books when we finish them. So that just about covers my favorite things for this month! Hope you can check them out! I told you in this post that I used to struggle with fear, and I know that my post struck a chord, because several of you e-mailed me and commented, and many of you asked for a follow-up post. So, I wanted to share with you another element that I’ve found to be so true in this topic and to share a little more about how the road to a peaceful heart is a journey that will likely be life-long, and must only be done with the help of the Holy Spirit. Fear is something that, once you are gripped by, it is forever with you. I’m not saying it can’t be overcome. With God’s help, it absolutely can, and I told you here the steps that I took to do just that. But, you should know, that it will occasionally come knocking at your door again. And just in the last few days, I found myself having the opportunity to answer that door once again. Like I’ve said before, we don’t watch the news very often, but I do keep up as much as I can, and I’d heard about the possibility of ISIS being in the United States, I’d heard about the call of ISIS to target military families. Then, there was the Oklahoma beheading, and then there was a local realtor who was kidnapped and murdered when she was simply trying to show a house. And, honestly, it was just too much for my heart to take. I could feel the panic rising as I sat on the couch. Yes, after 11 years, it still happens sometimes. Let’s face it, we live in a scary world. So, as Christians, what should our response be to all the evil in the world? I don’t have all the answers. But I do know a couple of things on this topic. The right response is not fear. The right response is love. Let’s be very logical and practical for a minute…so let’s say you worry and you fear. And it takes over your life-just like you know it will. You will be scared to go to work, scared to walk into your house, scared to open your door, scared to go to the grocery store. And what does it do except make YOU a prisoner? And the terrorists have won. They have done what they set out to do. They have stricken you to the core with sheer terror. Now, let’s say that you, instead, let the peace of God rule in your heart (because you’ve hidden God’s Word in your heart), and rather than allowing fear to settle into your life, you do the exact opposite. You love. Not just a little…but you love a lot. You do things you’ve never done before. Let’s say that you…. pray for your enemies, even the scary, terrorists ones…especially them. This list goes on and on and on. But, think with me…what if we all took that feeling of fear, and did something totally radical with it? What if we just loved like crazy instead? Wow….how would our world change? We say we want revival. And I completely agree. We need revival…desperately. But, for a revival to take place of the magnitude that changes millions of lives, we’re going to have to show them that following God isn’t about locking ourselves inside our homes. Do you remember in the Bible all the times when God showed that He was so much more than all those other false gods? (Remember Elijah and the prophets of Baal? What about Moses and the Magicians?) We have to allow God to convey that through us or people can’t see Jesus. Maybe Definitely: we should fear less and love more. We can’t do it on our own. I know that when God first laid the thought of “loving my enemies” on my heart, I balked quite heartily. (Father, you want me to pray for those people? Do you know what they believe??) But, I kept praying. I kept asking, Father, if this is really what you want me to do, please help me to love like crazy. And He didn’t fail me. He’s showing me every day, more and more how to love like crazy. And I find that the more that I follow His command to do just that, the less fearful I am. So, what is God calling you to do that is out of your comfort zone? What does your “love like crazy” look like? It may not look anything like mine, but that’s why when we all work together, doing what we are given by God to do, we are a mighty church.